Offering feminine charm and timeless appeal, our range of plus size skirts will take you from work to weekend in style. This season, the midi is a firm fashion favourite, while denim skirts can be worn all year round. Pencil skirts hug your curves while skater skirts will accentuate your waist and flatter your figure. Available in size 16 to 36, shop casual to evening styles below. 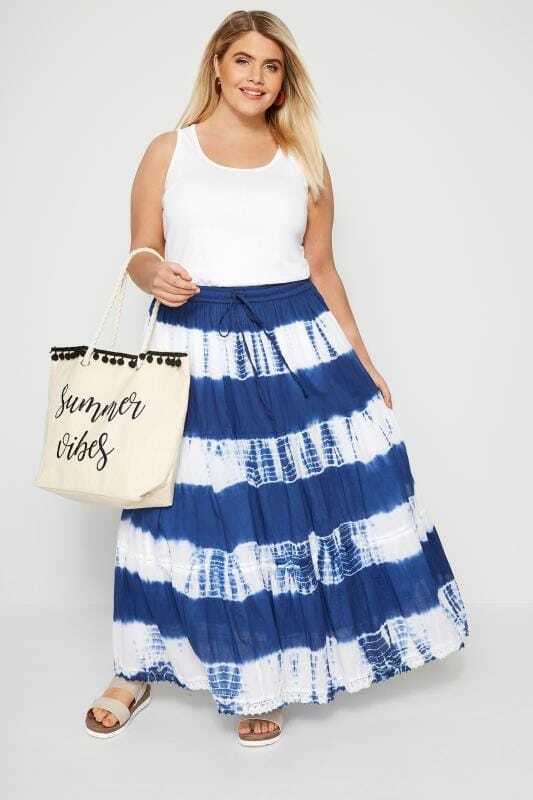 Give your wardrobe a fashion update with our range of plus size skirts. From low-key casual styles to effortless evening looks, our new-season collection has options to suit every occasion. Not sure which one to choose? Check out our style guide. Refresh your casual look with new-season skirts. Our classic denim midi gets an update with embroidered details, while our favourite tiered maxi is inundated with prints. 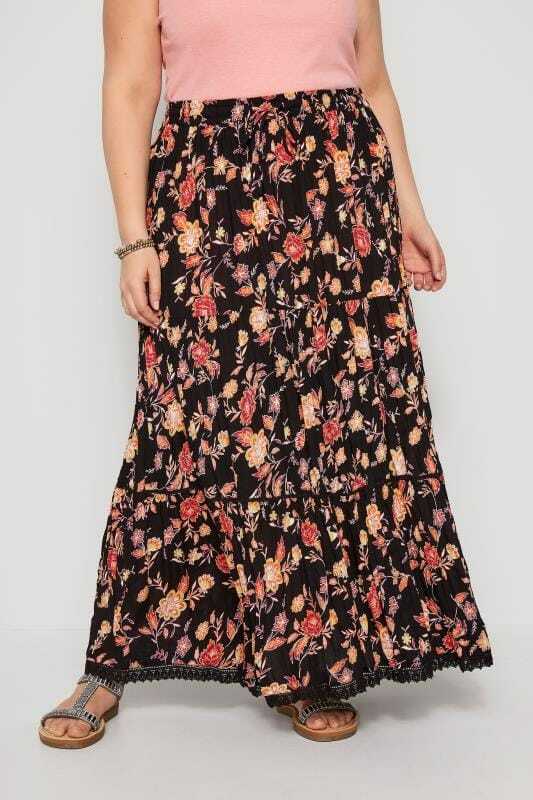 For an outfit that balances fashion and comfort, our jersey maxi skirt is the ultimate throw-on-and-go. Simply team with a basic t-shirt and pumps for a simple yet stylish look. In flattering, fashion-forward designs, our range of skirts are perfect for evening wear. Add a dose of beauty to your look with new-season florals, or make a statement with colour block prints. From flattering plus size skater skirts to figure-hugging pencil skirts find the perfect skirt to suit your style. Fuel your wanderlust with holiday-ready skirts. In bright colours and tropical prints, discover day-to-night styles that take you away. 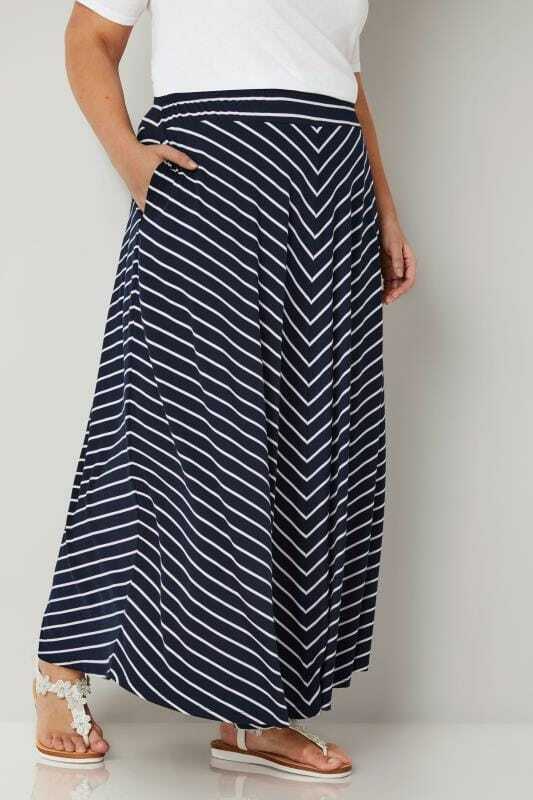 Perfect for walking on the beach and exploring new places, our range of jersey maxi skirts are super comfortable and easy-to-wear. 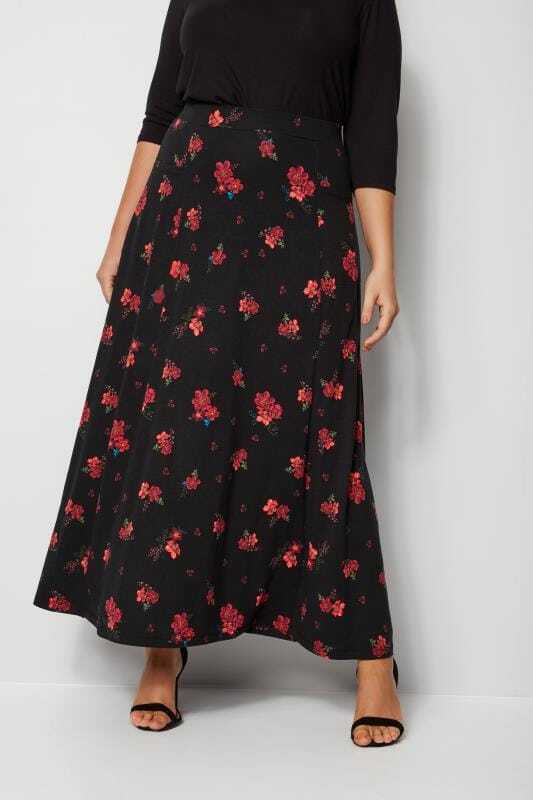 Or for an effortless evening look, opt for a floral plus size A-line skirt partnered with cork wedges.